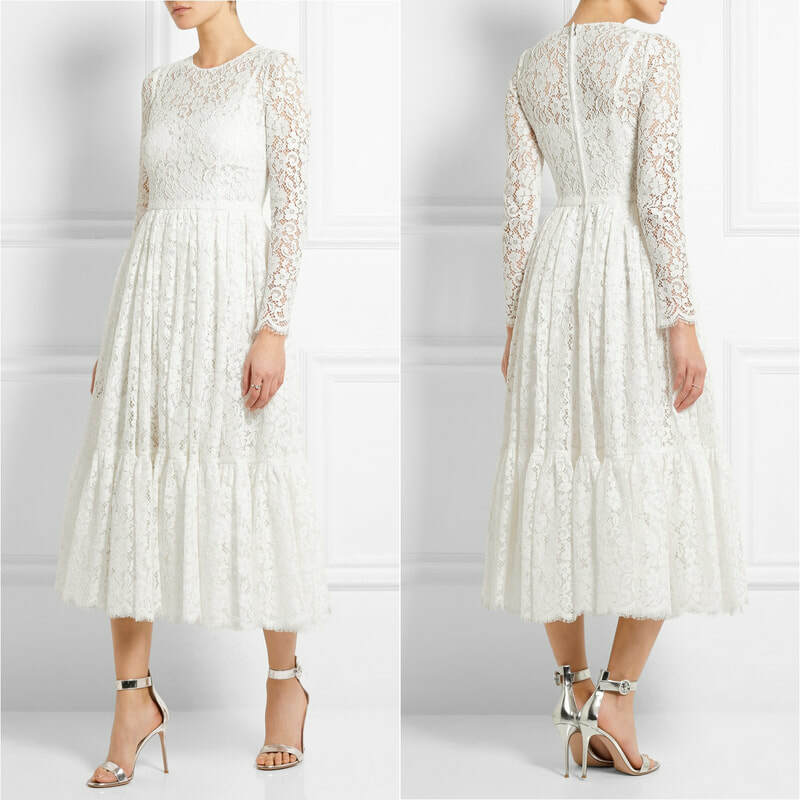 Dolce & Gabbana's white dress crafted from pretty cotton-blend lace with sheer sleeves, a nipped-in waist and tiered, swishy skirt. It comes with a smooth satin slip for coverage. Made in Italy. 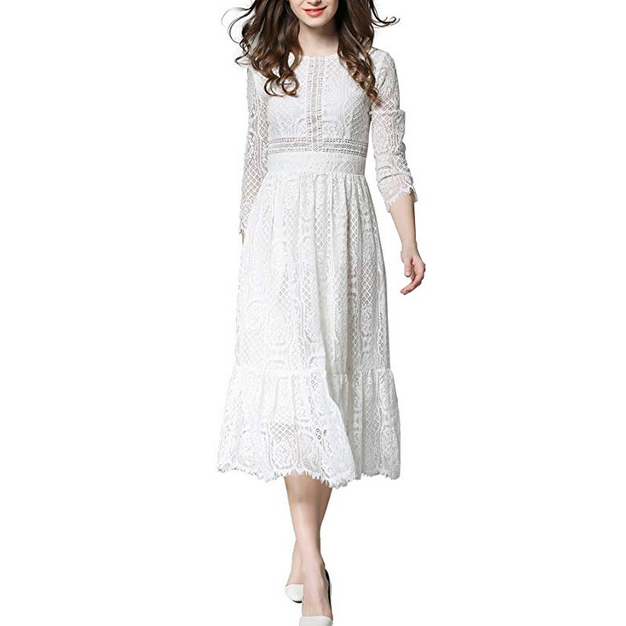 STYLE FILE: Dolce & Gabbana White Lace Dress as seen on Kate Middleton, Duchess of Cambridge.